BSIP school nurse Cebsile Msane treats a student. In Lubombo, the poorest region of Swaziland, 15-year-old Simphiwe Phakathi injured his right leg playing soccer at school. Over the next few days he was visibly in pain. The school sent notes home, urging his parents to send him to see a doctor. There was no reply, however, because Simphiwe is an orphan. Despite Swaziland's status as a low-middle income country, roughly 69% of the population lives in poverty. With the highest adult HIV prevalence in the world (26% according to UNAIDS), Swaziland has more than 70,000 orphans, and an additional 120,000 children who are considered vulnerable. In Lubombo, the blistering sun makes life hard. Medical needs are tremendous, yet children rarely see a doctor. There are no full-time nurses on staff in the schools, and without parents, there was little help available to Simphiwe when he injured his leg. Cebsile Msane is a visiting school nurse for the Bantwana Schools Integrated Program (BSIP), a pilot project run by World Education and John Snow, Inc. Working in ten schools in Lubombo, BSIP addresses the specific needs of children orphaned or made vulnerable by HIV and AIDS. Traveling among the schools, Msane diagnoses and treats hundreds of kids with flu, cholera, malaria, and scabies, among other illnesses. Without a designated nurse's office, she sets up a make-shift exam room—usually an empty classroom—wherever she can. Msane also brings her own medical supplies to each school. In severe cases, Msane tries to find the quickest way for the child to be treated. For Simphiwe, she immediately saw that his case was critical, and contacted her nursing school friends at Raleigh Fitkin Memorial Hospital in the city of Manzini. With her help, Simphiwe was quickly admitted, and an orthopedic doctor diagnosed him with osteomyelitis—a serious bone infection, which had already spread from his hip to just below his knee. "The doctor suggested that amputation might be needed," said Msane. "But I refused to let them amputate him! I said no, let's try some antibiotics." The doctors listened to her advice, and within a few weeks, he started to improve. 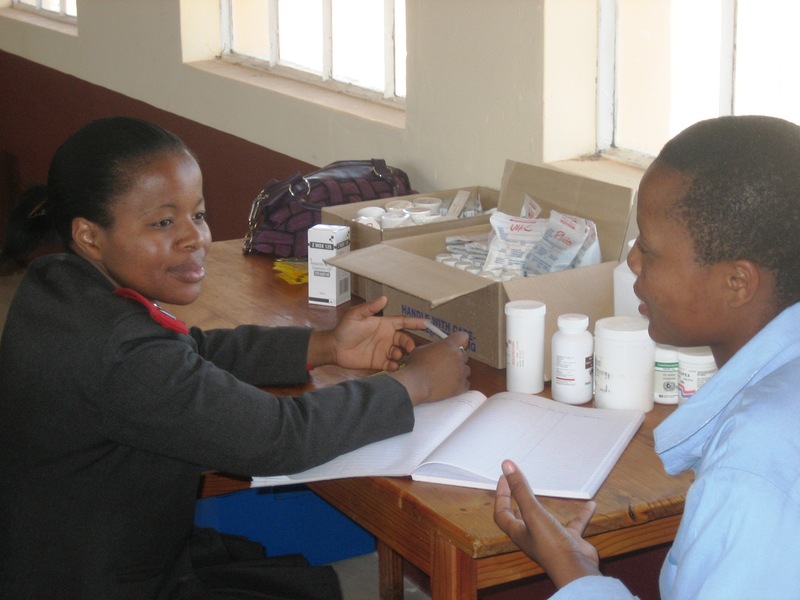 Simphiwe Phakathi received treatment and is able to remain in school thanks to Cebsile Msane. Simphiwe completed his treatment, and was released from the hospital. Afterward, Msane urged him to go for a second opinion at the government hospital in the capital Mbabane. He took her advice, and was examined and given a different antibiotic treatment. 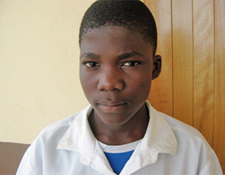 Although he is still recovering, Simphiwe is currently on his feet again and back in school. BSIP school nurse Msane brings much needed services, dedication, and compassion to orphans and other vulnerable children. A product of Lubombo herself, she knows all-too-well the many difficulties of living in this region. Good health and higher education aren't easy to come by, but Msane has achieved both, and uses her success to help kids like Simphiwe. Without her intervention and quick action, he may have lost his leg or succumbed to infection. "You have to be a person who loves people," she said. "You have to always be willing to help, and give them an ear…and you must commit yourself, because it's hard work."